Information Transport SOLUTIONS provides quality, cost effective Video Surveillance solutions to Atlanta homes and businesses. We install, maintain and service CCTV, focusing on making our customers feel safe, secure and in control. We have designed specific solutions to meet the needs of a diverse customer base, including major retail chains, jewelry stores, grocery stores, warehouses, restaurants, clubs, homes, apartments and more. Our Atlanta residential and commercial security camera installation services are well known and trusted. We have the experience to help you. Call 404-333-3003 to find out how our professional, friendly service can help you! • Security cameras don't fall asleep. • Security cameras provide an accurate portrayal of the events. • They protect your business by deterring potential burglars or predators and employee theft. • Keeping people from suing for a fall, etc. on your property when it's not true and they're just seeking money (i.e. frivolous lawsuits). • Making sure your staff is performing at their best and providing adequate customer service. • They can provide an hefty discount on your business insurance policy. • If you have digital cameras that connect to a networked computer system, you can check on your business while out of town. 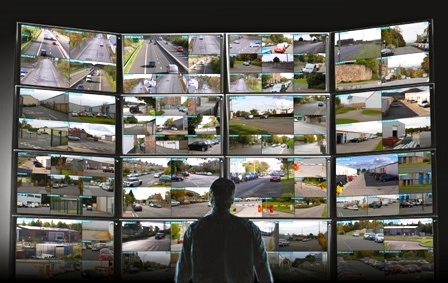 With a video surveillance system, it is best to install more than one camera to optimize the coverage. Some prime locations are at all entrances/exits, where money is located (cash register, vault, etc. ), and employee break rooms. If you sell merchandise, it's also a good idea to point them at the merchandise floor to catch shoplifters in the act.